John Kingston from Complete Computer Solutions will be presenting on Computer Forensics – Securing Hard-drive Evidence at the next meeting of the Northwest Arkansas Association of Technology Professionals. John Kingston is one of the only people in Arkansas to hold EnCase certification. The Association of Technology Professionals is a comprised of career minded individuals who seek to expand their potential -- employers, employees, managers, programmers and many others. 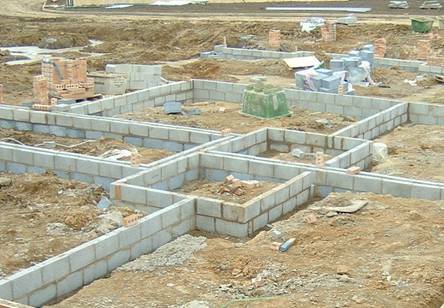 How important are foundations? Well, have you ever spent any time around a construction site? You should sometime, it is amazing the amount of work that goes into just getting the foundation setup. They move or level ground, bring in support, cut rebar, dig out where the supports needs to be. A lot of planning and thought, not to mention sweat goes into preparing the foundation to support the building or home that it will eventually hold. Every developer should strive to have a foundation that is as thought out, sturdy, and planned as that and this E-book from Karl will developers build that foundation. Karl Sequin’s blog series on the Foundations of Programming has been one of my favorites. The insight and practicality of what he teaches has touched me and my coding habits in an exponential way. I downloaded and printed the a PDF that Tim Barcz created that included everything up to Part 7 – Active Record. I have carried that copy with me everywhere. Oh yes, I have printed this one and replaced my worn short version and am prepared for to read it through again. Jeffrey Palermo, yes from the Party with Palermo fame, is going to be visiting Northwest Arkansas on August 14. Jeffery will be presenting on the ASP .NET MVC Framework. Jeffrey along with Dave Verwer, and Ben Scheirman, is authoring “ASP.NET MVC in Action” from Manning Press. If you have never been to a Party with Palermo or missed is awesome talks at TechEd or other events this is a must attend event. I attended one of his architecture sessions at Tech2008 and was totally blown away. Jeffrey Palermo is a software management consultant and the CTO of Headspring Systems in Austin, TX. Jeffrey specializes in Agile coaching and helps companies double the productivity of software teams. Jeffrey is an MCSD.Net , Microsoft MVP, Certified Scrummaster, Austin .Net User Group leader, AgileAustin board member, INETA speaker, INETA Membership Mentor, Christian, husband, father, motorcyclist, Eagle Scout, U.S. Army Veteran, and Texas A&M University graduate. This is an INETA Sponsored event, which means INETA is picking up the tab for Jeffrey’s travel and expenses. It also means that INETA will be providing the food for the event. If you are not an INETA member or maybe you are and haven’t taken advantage of this awesome benefit for user groups, check out the INETA website for more information or contact you INETA Membership Mentor. Zach Young, the Vice President of the Northwest Arkansas .NET User Group, just informed me that we have achieved 501(c)(3) status for Northwest Arkansas .NET User Group, Inc. This is an awesome achievement for the group since we are not exempt from taxes and can be viewed as a charitable organization by donors. John Oswalt, Treasurer, has some extended information about what this status means on his blog post here. Here is some additional info you might need if your user group is thinking about starting the process of becoming a 501(c)(3) organization. What does being a 501(c)(3), tax-exempt organization mean? The term "tax-exempt," when used in reference to nonprofit organizations, generally refers to the net profits (proceeds over and above expenses) of an organization being exempt from federal and/or state income tax. While a nonprofit organization can be established by incorporating, the entity is not automatically tax-exempt upon creation with the state. Tax-exemption can usually be achieved only through applying for and receiving Internal Revenue Service (IRS) approval. Is there more than one category of tax-exempt organization? Yes. The one most familiar (and addressed in subsequent questions below) is the Internal Revenue Code (IRC) Section 501(c)(3) public charity or private foundation, which is established for purposes that are religious, educational, charitable, scientific, literary, testing for public safety, fostering of national or international amateur sports, or prevention of cruelty to animals and children. There are also IRC Section 501(c)(4) through 501(c)(27) organizations that are considered tax-exempt, but not charitable. Examples include trade associations, social clubs and certain advocacy organizations involved in substantial political lobbying activity. What form is required for 501(c)(3) status? To apply for IRS 501(c)(3) recognition, IRS Form 1023 must be completed and filed. What are the fees to file Form 1023? The IRS has a two-tiered filing fee structure. Most organizations pay the standard $750 filing fee when sending their application to the IRS. Organizations that expect to have (or have had) no more than $40,000 in gross revenue for the first four years combined can pay a reduced filing fee of $300. Is there a state application as well as federal? In most states, no. While a handful of states have a simple, one- or two-page form that must be prepared, California is the only state that requires a separate application process rivaling the one required by the IRS. In California, federal tax-exemption does not eliminate state income tax liability until approval is received from the California Franchise Tax Board. We can assist with the California filing. How long does it take for the IRS to approve 501c3 status? Typically, IRS 501(c)(3) approval takes between 2 and 12 months, inclusive of likely written follow-up questions. Sometimes it takes a little less; sometimes a little more. Expedited review can be requested if a new organization is being formed to provide immediate disaster relief or if a promised grant is both 1) substantial relative to the organization’s budget and 2) the grant has a specifically-defined expiration date. There is no guarantee the IRS will grant expedited review requests. What happens if the application is rejected? A negative 501(c)(3) determination by the IRS can be appealed. Alternatively, the organization may choose to apply again from scratch. In either case, it is usually an uphill battle to acquire 501(c)(3) recognition once an organization’s initial application has been rejected. Can anyone complete Form 1023? Technically, anyone can complete Form 1023. From a practical standpoint, it is usually advisable to enlist the help of a professional who specializes in the process, such as The Foundation Group. While the IRS rejects slightly less than 10% of applications filed, more than one-third are abandoned by the filer...usually out of frustration or inability to answer the IRS follow-up questions. Out of approximately 80,000 applications filed annually, nearly half never make it through the process. Summary There are several resources online that provide additional information. I highly recommend that you work with an accountant locally, build a relationship with them. It is important to have someone that really understands the financial and legal aspects of your organization. A lot of the information here and more can be found on the Foundation Group’s 501(c)(3) site, the benefits are listed here. On June 9, 2008, yes I am behind on this one, Ilya Ryzhenkov announced on the ReSharper Blog, that ReSharper 4.0 has been released. This release includes full support for C# 3.0, lambdas, extension methods, LINQ, object and collection initializers, anonymous types, automatic properties and partial methods. Check out a more complete list on the New Features page. I have downloaded and installed the this version and am loving the full Visual Studio 2008 integration. The one thing that I might argue about is the implicitly typed locals (“vars”). I haven’t made up my mind on these yet. I will have to re-wire my thinking, since I always think about the old Visual Basic Variant type and shiver. I still believe that ReSharper is a must have for any developer coding in reverse or using any of the *DD, (TDD, DDD, BDD) styles of development.